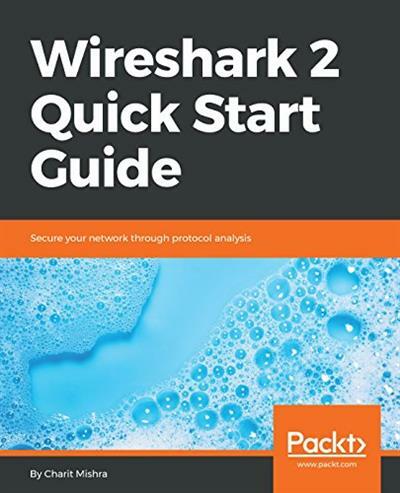 Wireshark 2 Quick Start Guide Secure your network through protocol analysis | Free eBooks Download - EBOOKEE! Posted on 2018-08-12, by nokia241186. Protect your network as you move from the basics of the Wireshark scenarios to detecting and resolving network anomalies. Wireshark is an open source protocol analyser, commonly used among the network and security professionals. Currently being developed and maintained by volunteer contributions of networking experts from all over the globe. Wireshark is mainly used to analyze network traffic, analyse network issues, analyse protocol behaviour, etc. - it lets you see what's going on in your network at a granular level. This book takes you from the basics of the Wireshark environment to detecting and resolving network anomalies. This book will start from the basics of setting up your Wireshark environment and will walk you through the fundamentals of networking and packet analysis. As you make your way through the chapters, you will discover different ways to analyse network traffic through creation and usage of filters and statistical features. You will look at network security packet analysis, command-line utilities, and other advanced tools that will come in handy when working with day-to-day network operations. By the end of this book, you have enough skill with Wireshark 2 to overcome real-world network challenges. If you are a security professional or a network enthusiast who is interested in understanding the internal working of networks and packets, then this book is for you. No prior knowledge of Wireshark is needed. No comments for "Wireshark 2 Quick Start Guide Secure your network through protocol analysis".